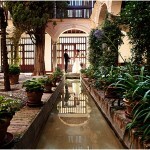 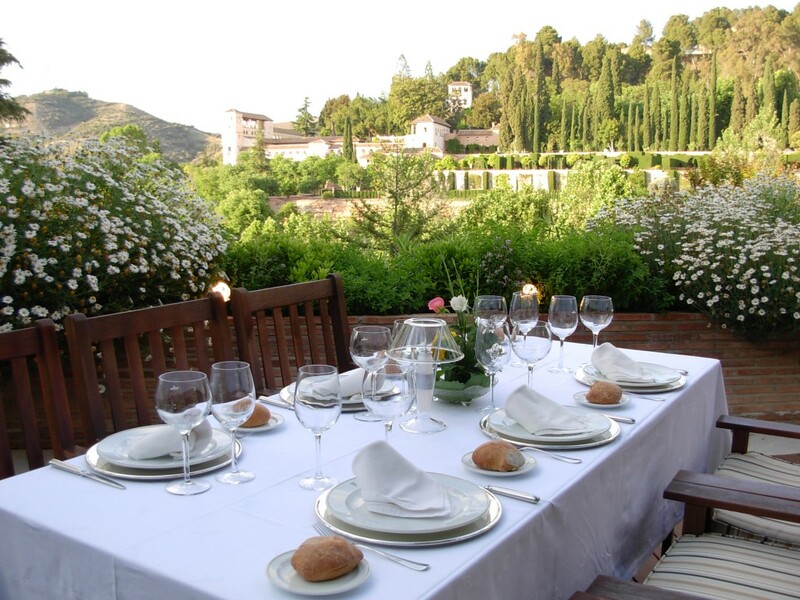 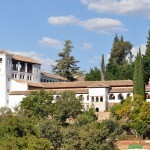 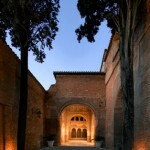 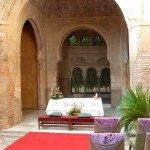 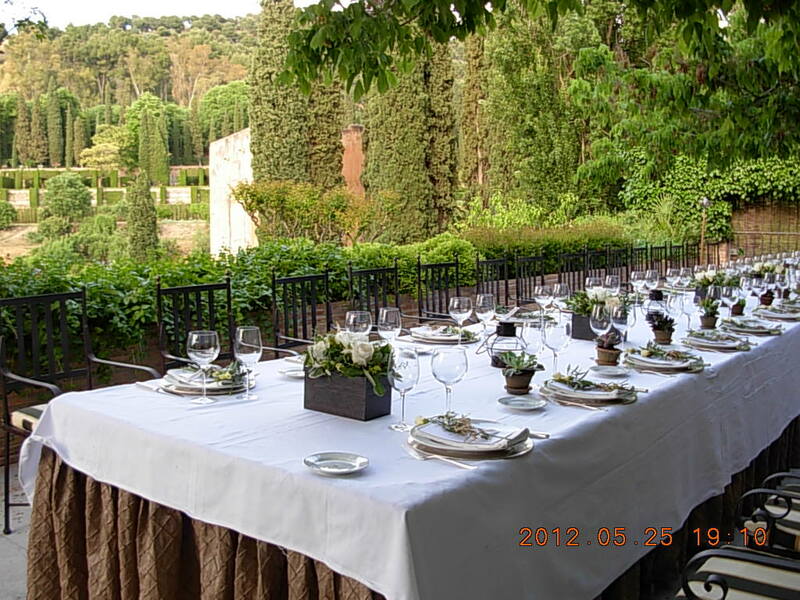 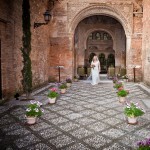 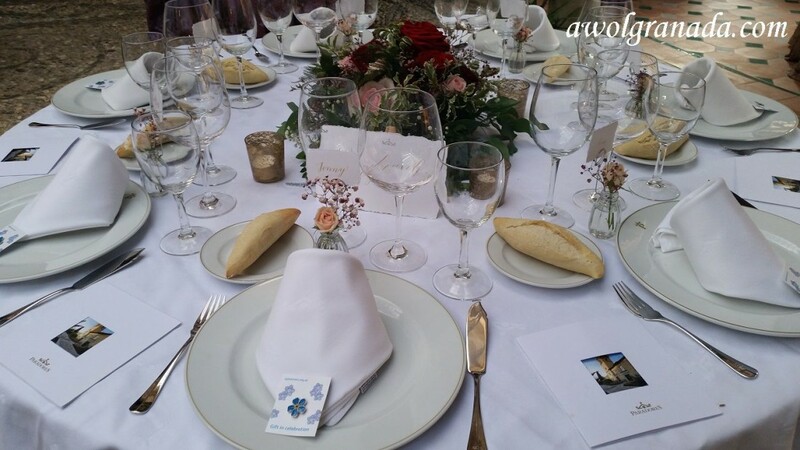 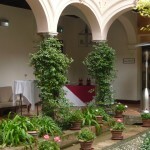 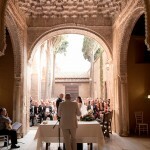 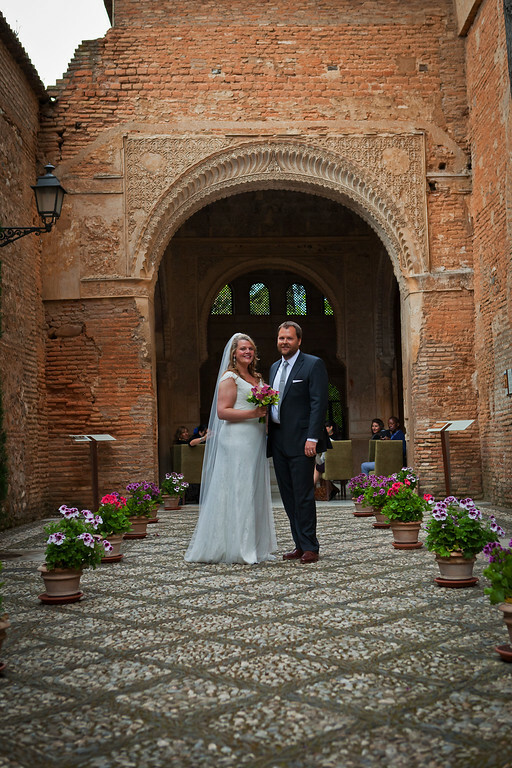 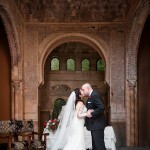 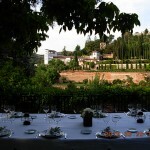 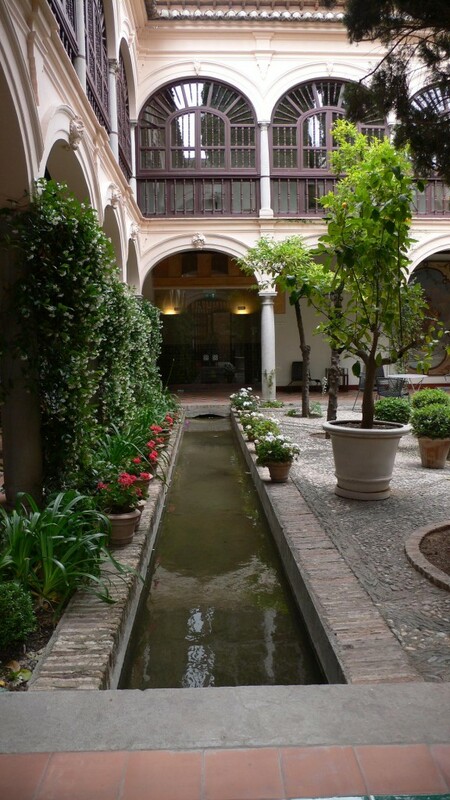 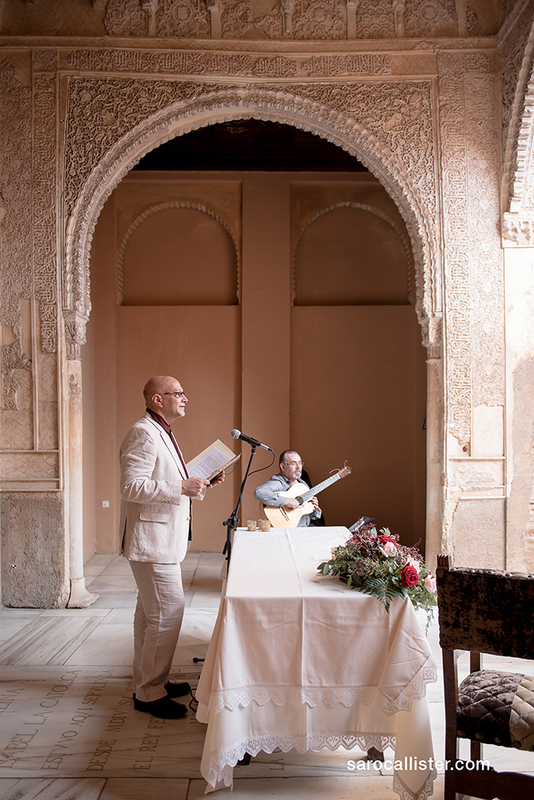 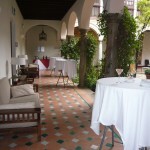 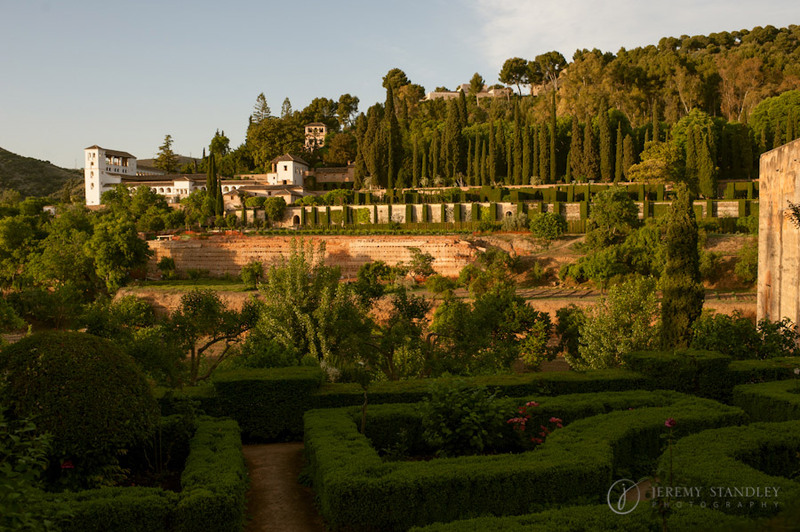 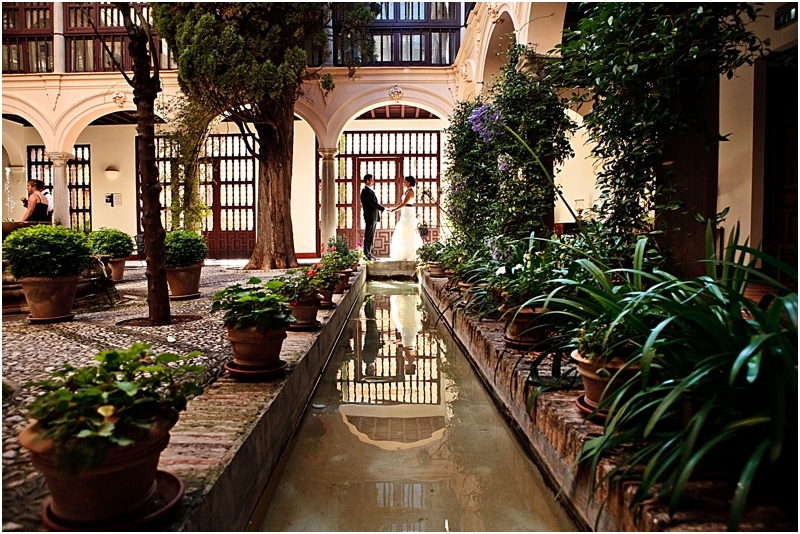 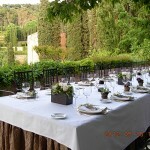 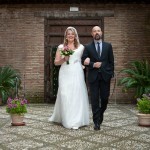 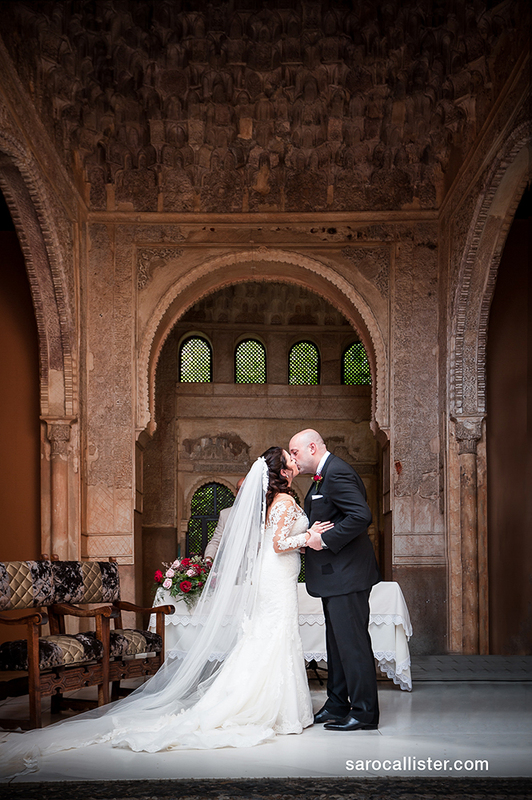 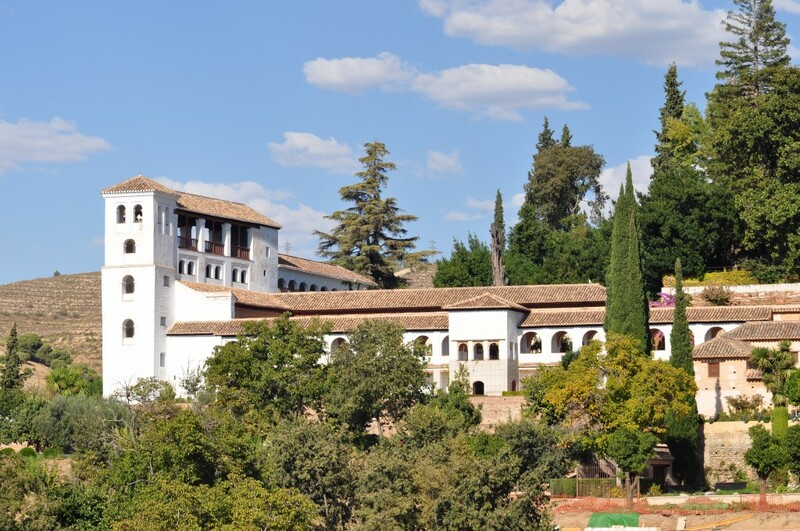 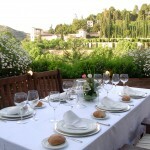 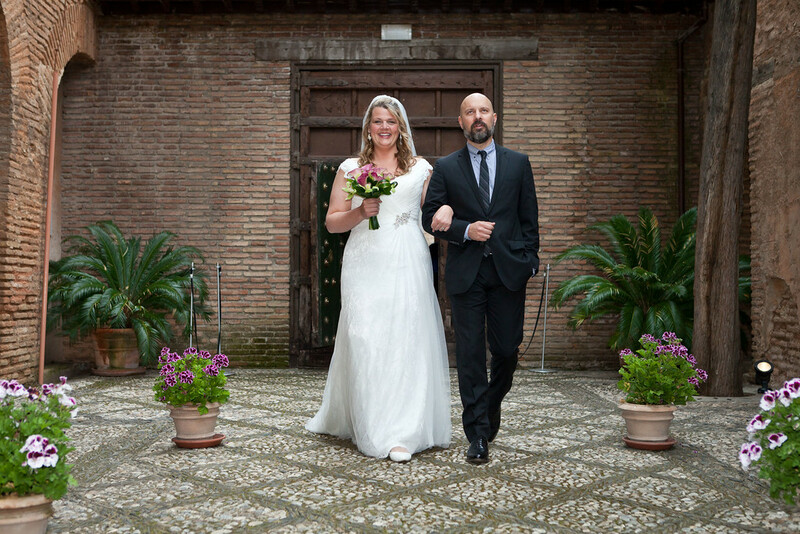 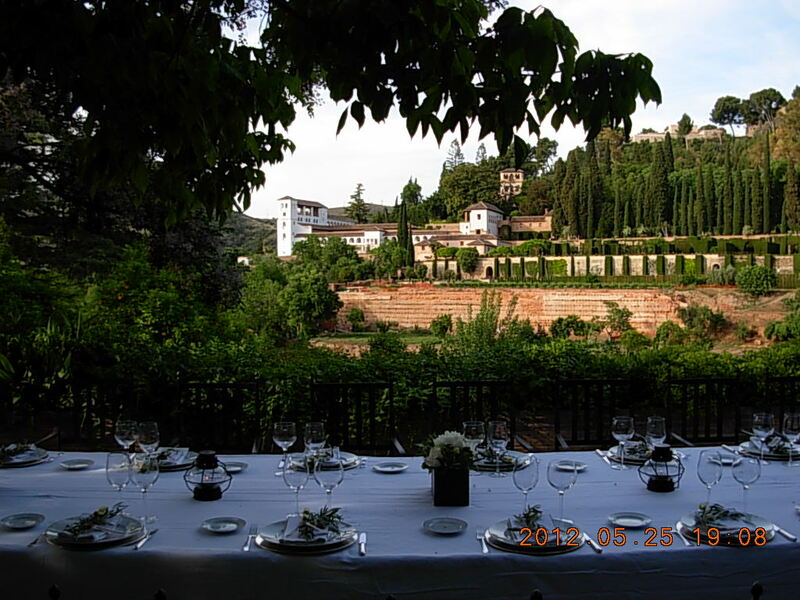 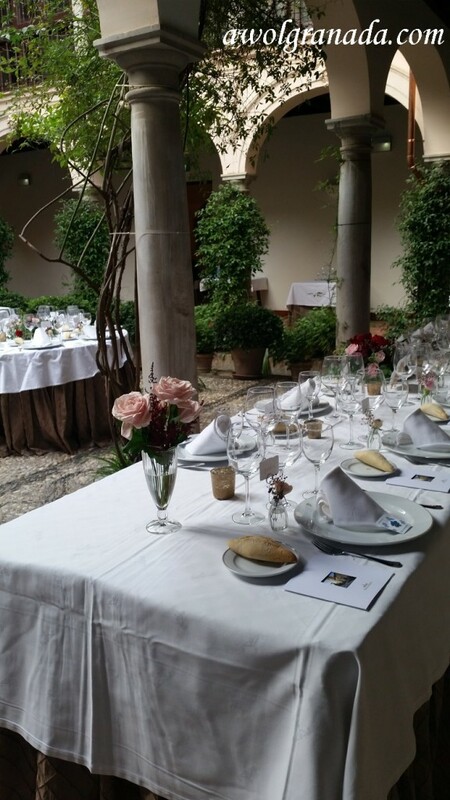 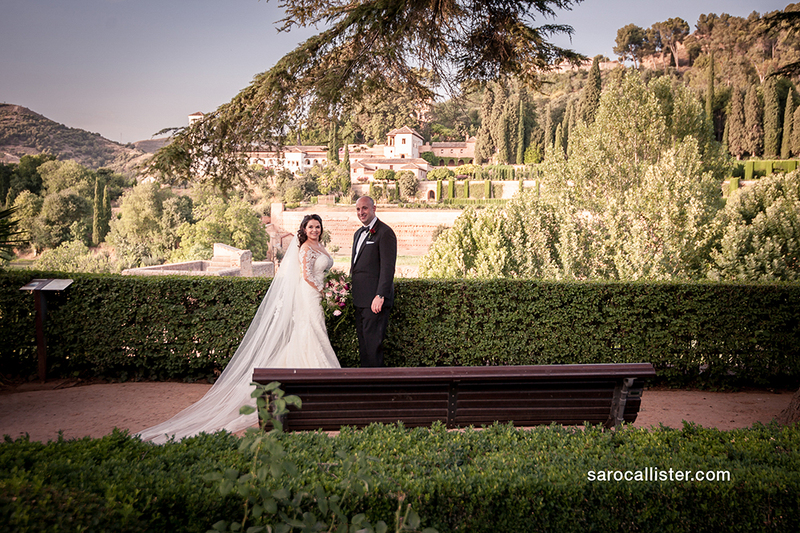 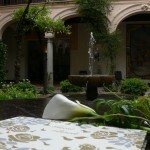 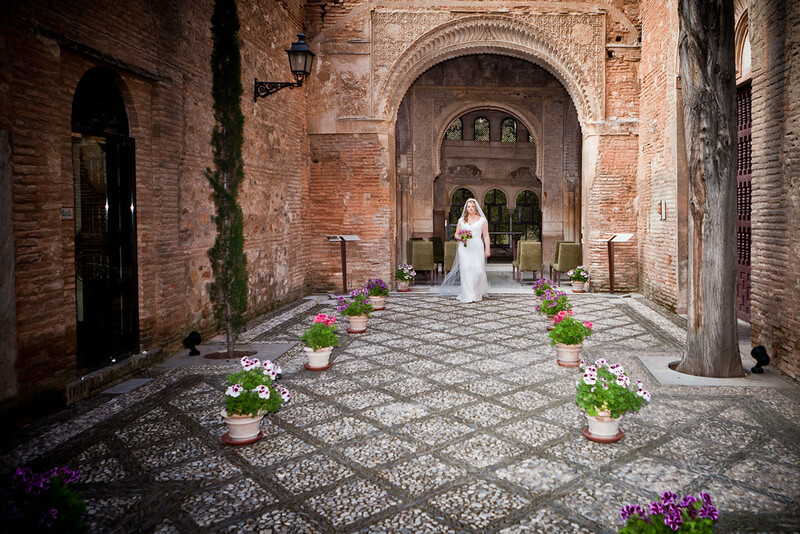 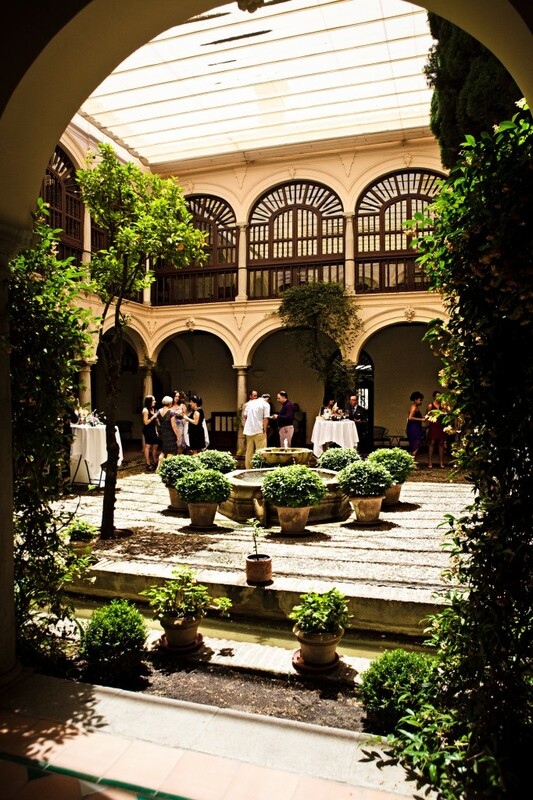 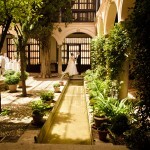 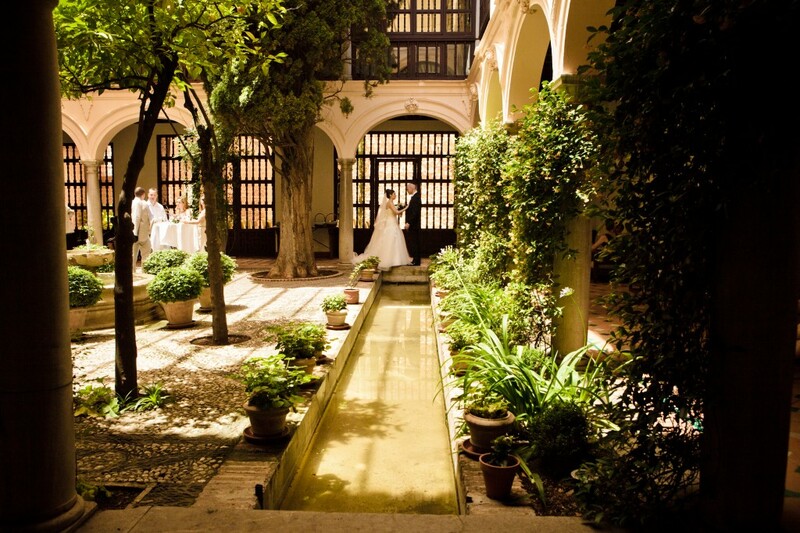 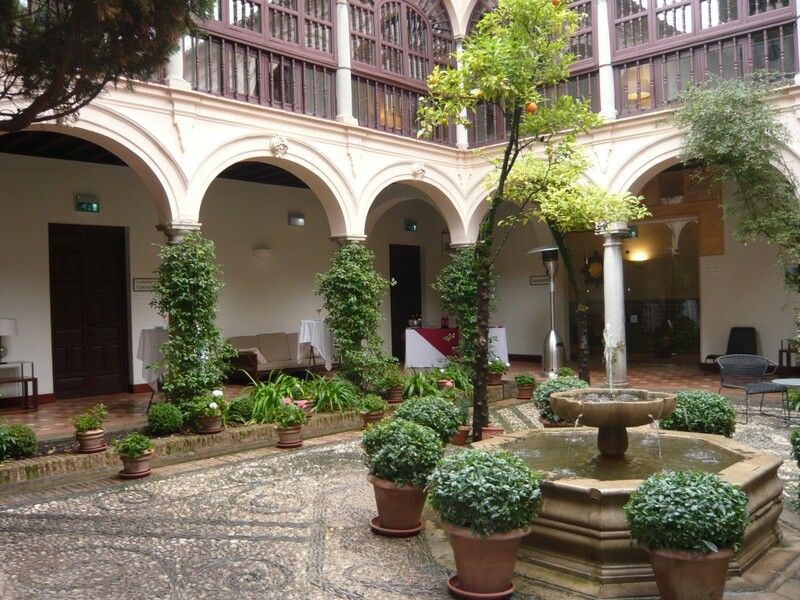 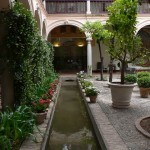 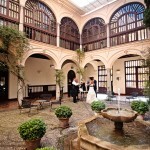 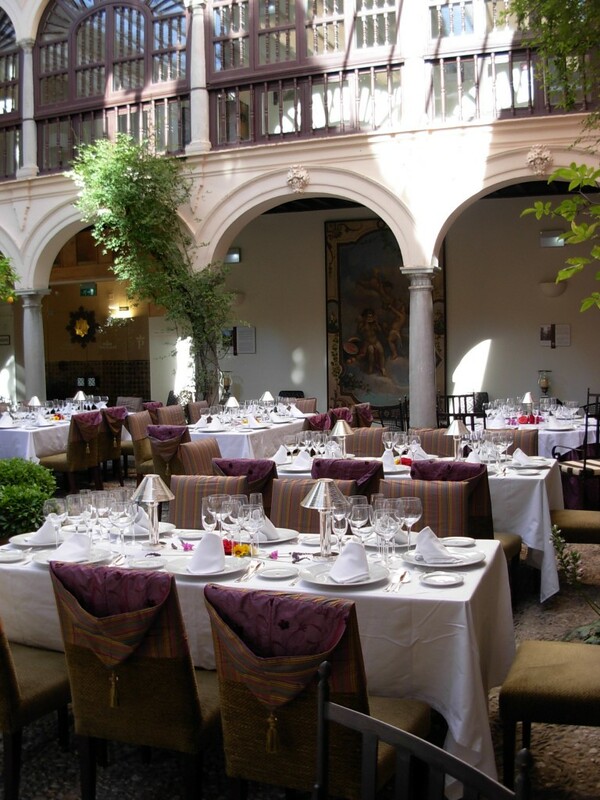 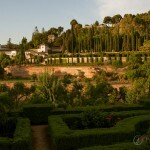 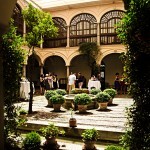 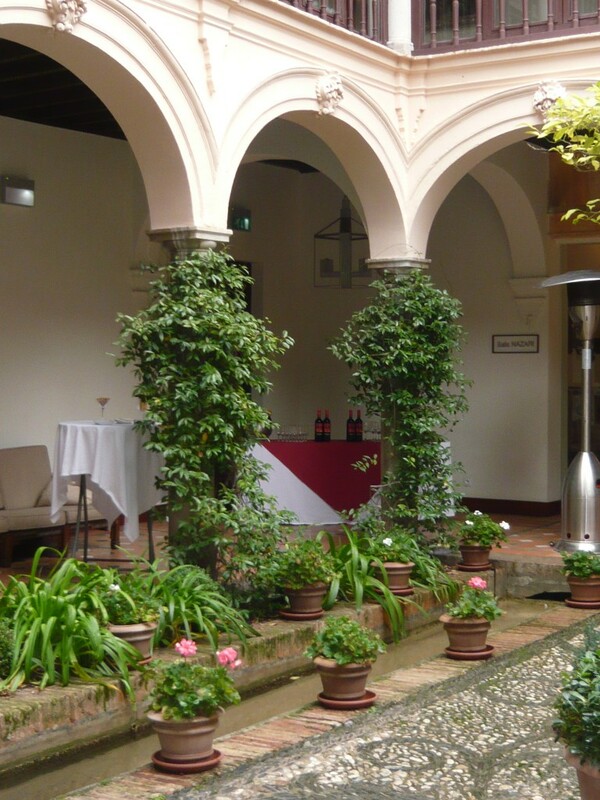 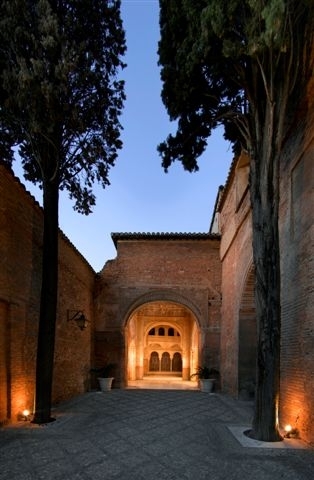 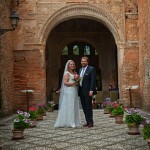 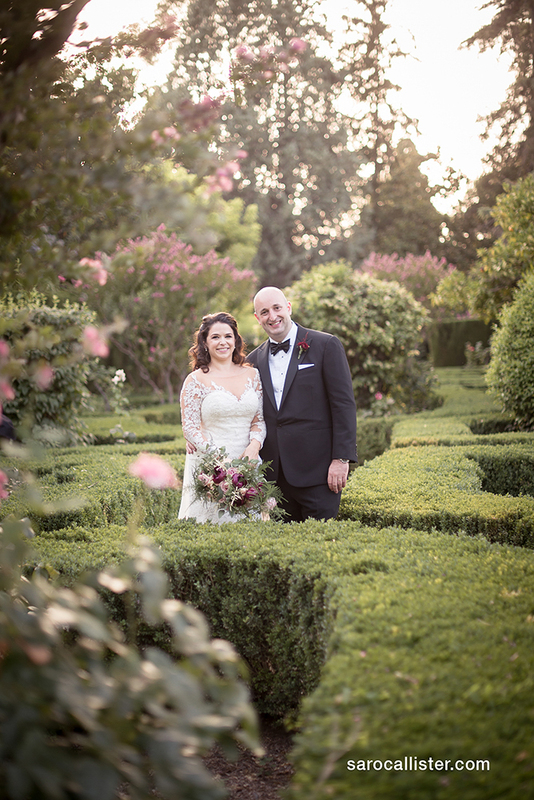 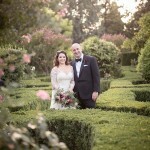 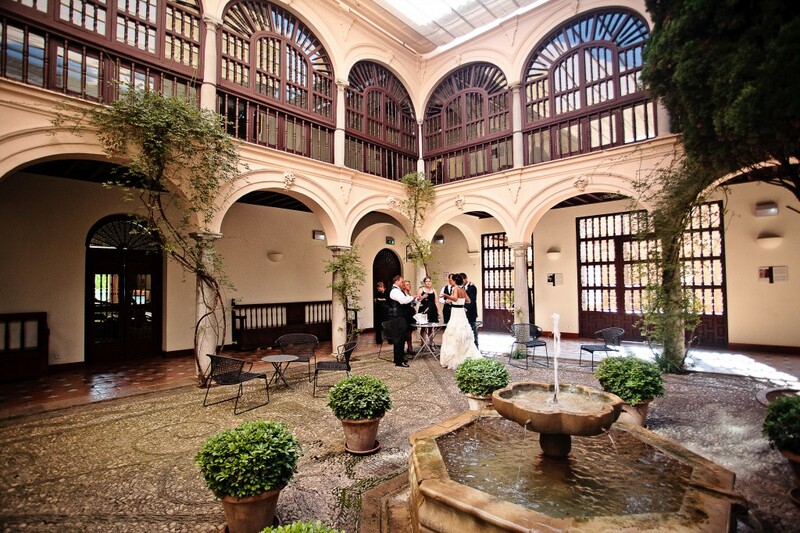 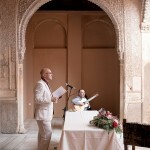 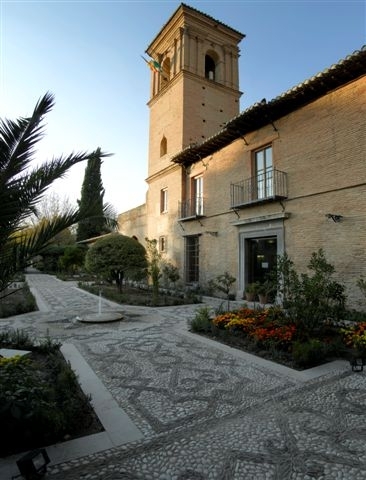 The Parador Hotel is located in the grounds of the Alhambra. 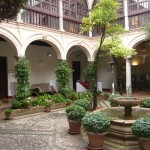 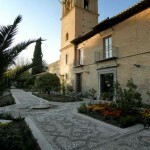 It was once part of a palace and mosque built between 1332 and 1354 which was later converted into a Franciscan convent. 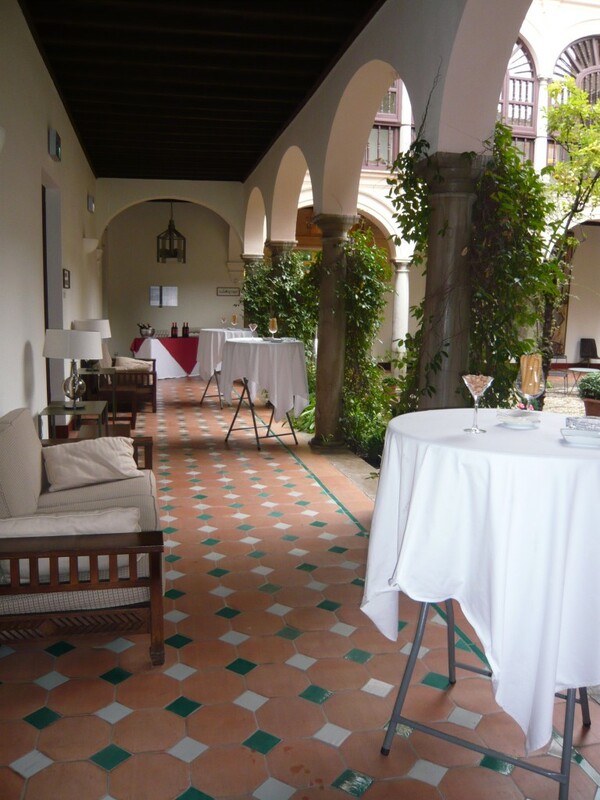 The charming tiled Patio remains from this conversion and is where Cocktails or Wedding Receptions can be held. 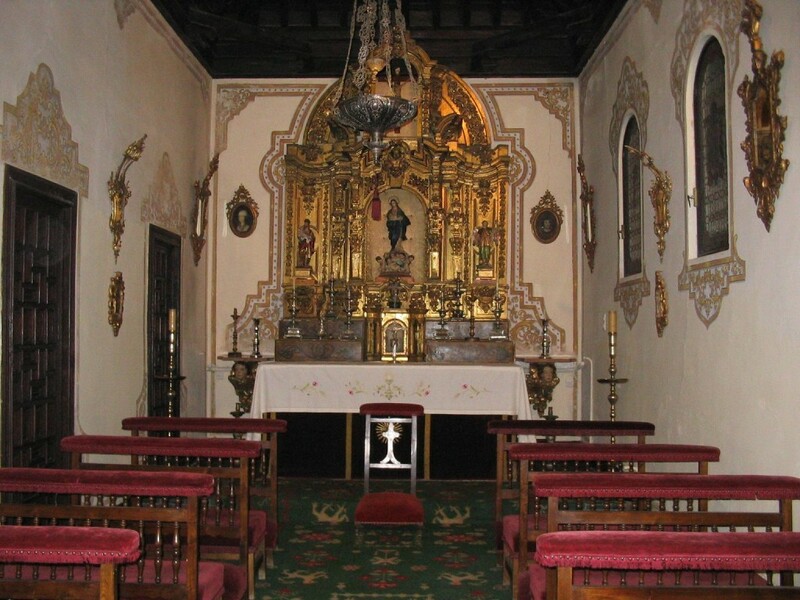 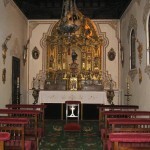 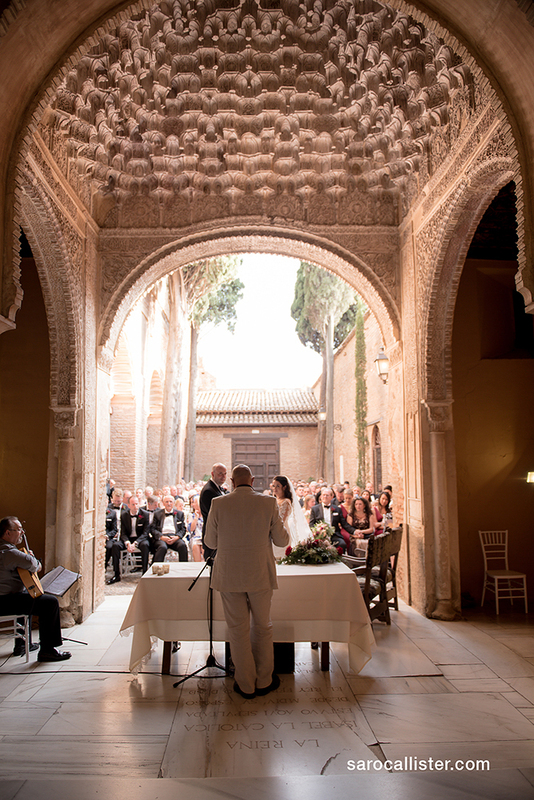 Part of the building was the former chapel where the kings of Spain were once buried and is where blessing ceremonies are held. 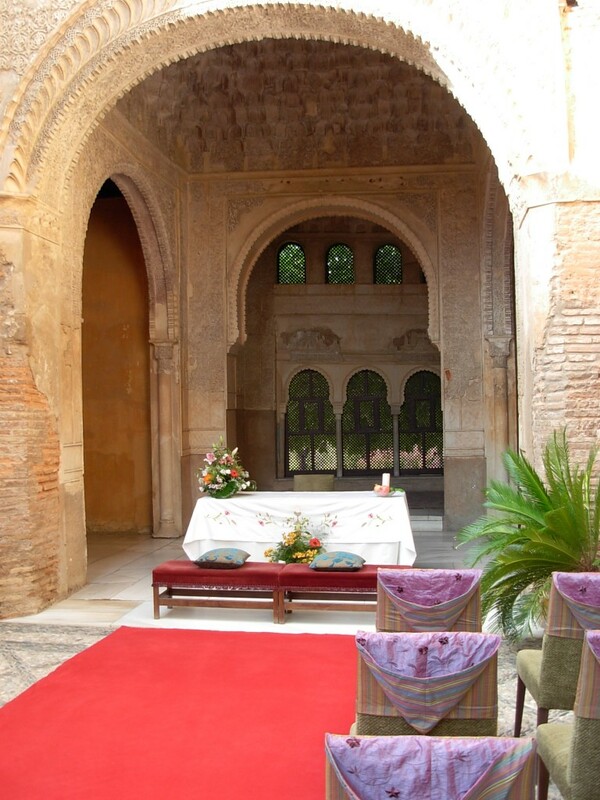 The interior combines the Arabic and Christian styles with classical furniture, numerous portraits, coffered ceilings, engravings and embroideries. 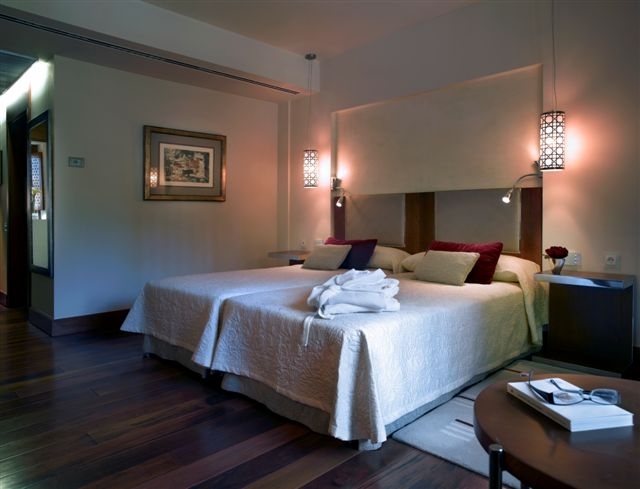 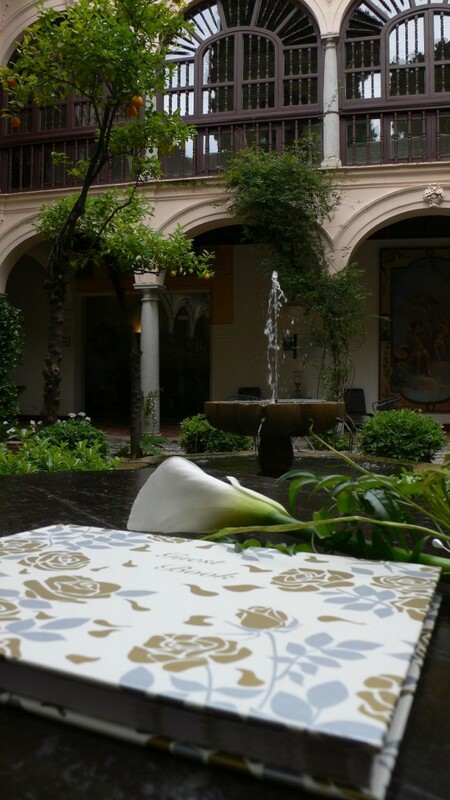 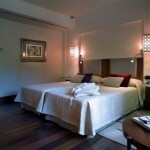 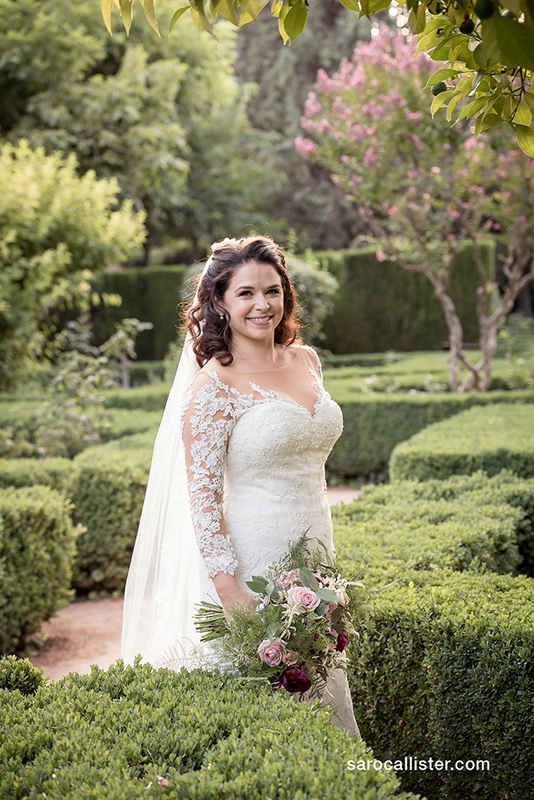 The bedrooms are exquisitely decorated and have views of the famous buildings and gardens that make up the Alhambra. 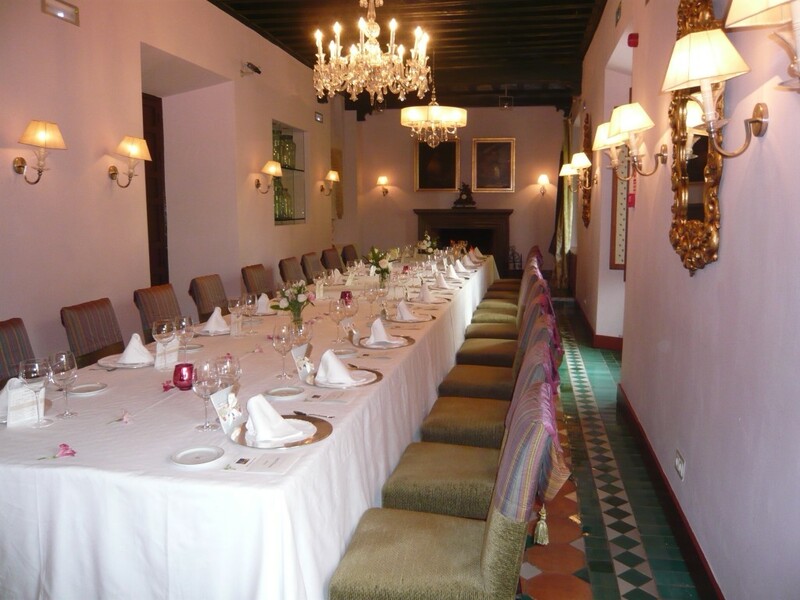 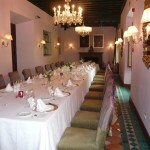 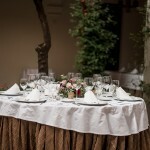 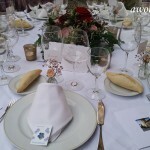 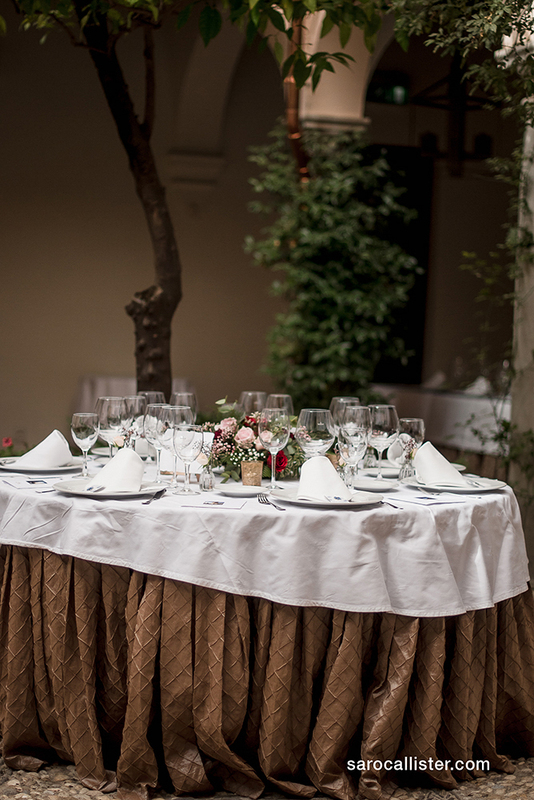 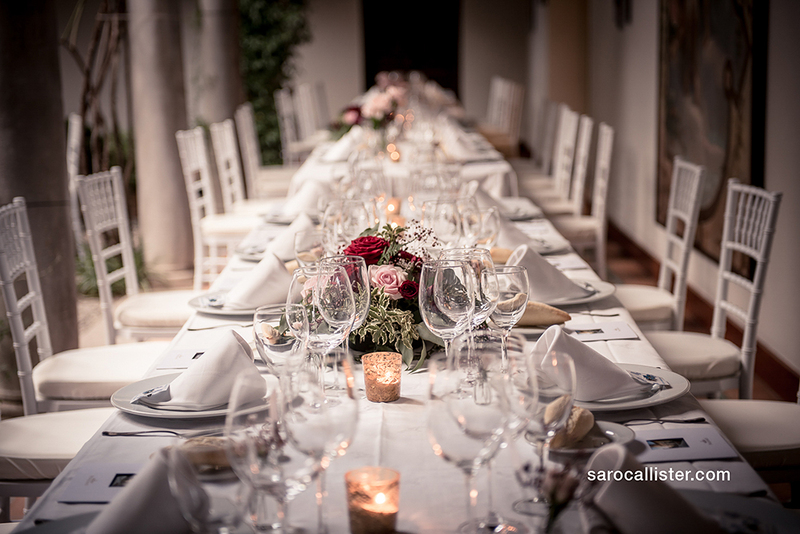 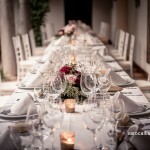 Their indoor Romantic dining room can seat up to 40 people, and serves local and international dishes. 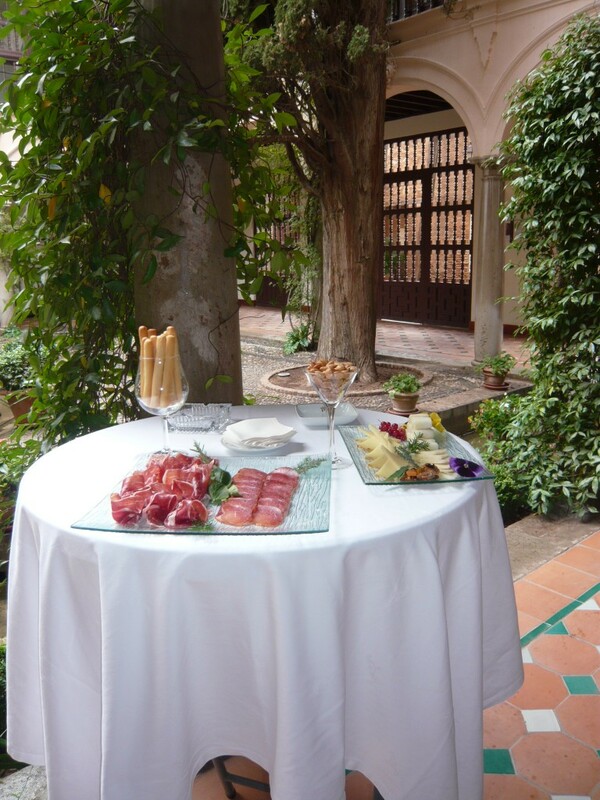 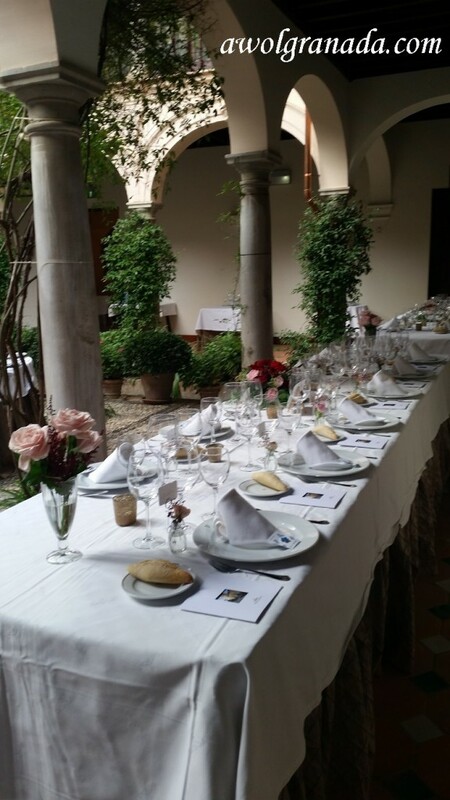 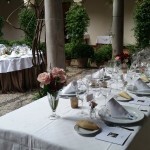 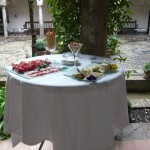 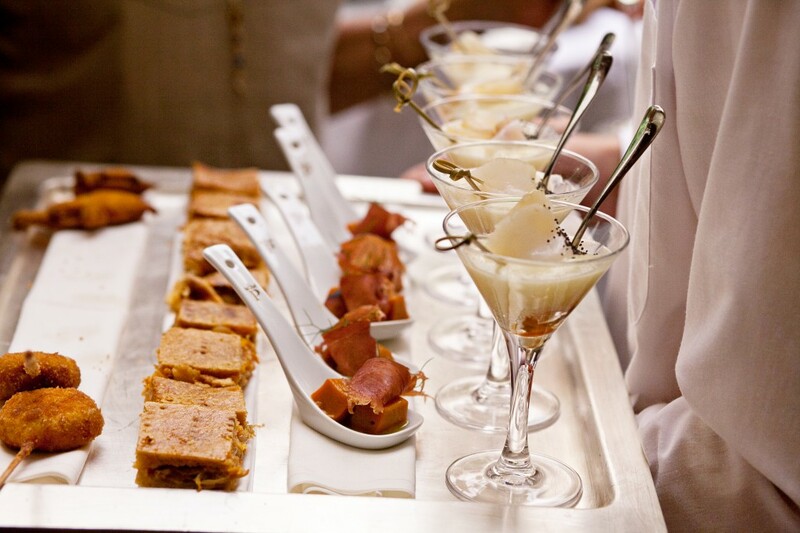 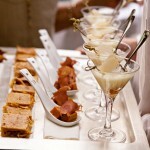 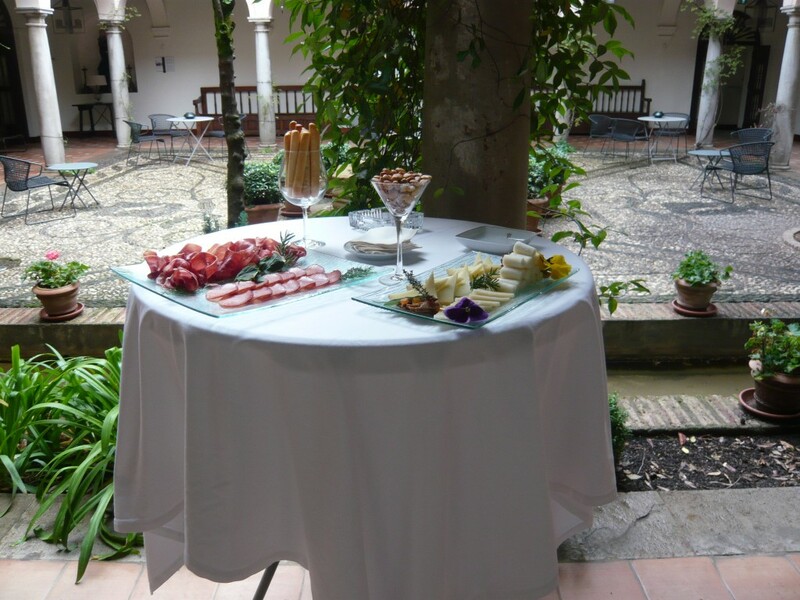 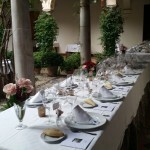 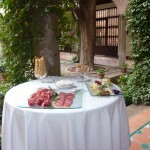 Meals can also be taken on the terrace or in the patio for larger groups. 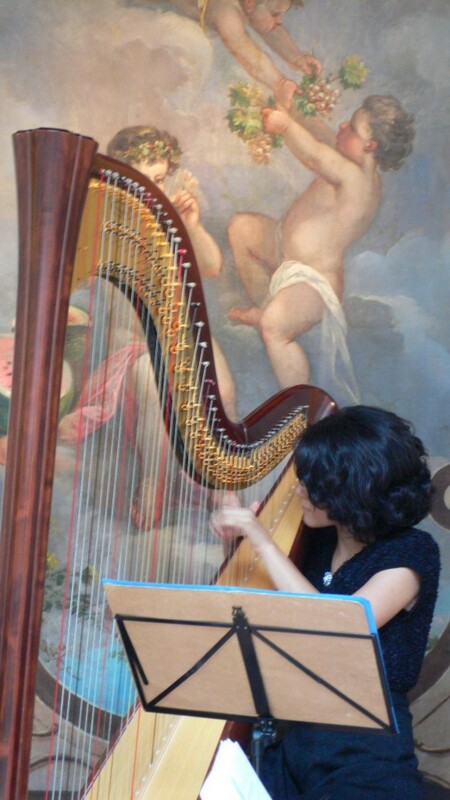 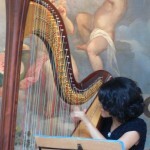 Due to the location of this venue no loud music is allowed, only gentle classical music. 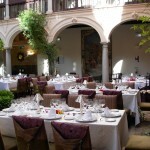 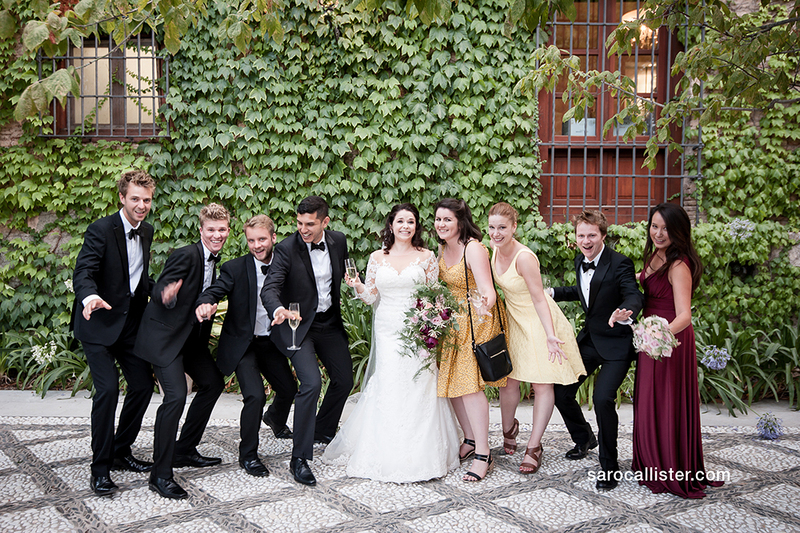 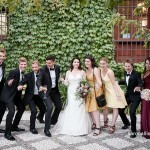 There are plenty of bars and clubs in Granada that you can go to if you want to enjoy some dancing after the meal.